packaging solution, customer service and technical support that we can. We have extensive experience in doing what was previously thought to be impossible. 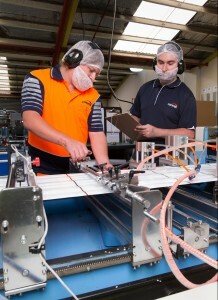 Over our 40 years of operation we have built a strong international reputation for product innovation and have successfully developed a number of world-first technologies and products – including several slider innovations, the lapsealing process that is now used worldwide, and Econic® compostable packaging for coffee and dry foods. Our fully-equipped, privately-owned plant features the latest extrusion, conversion, pre-press, lamination and printing technology, along with market-leading warehousing and distribution and a state-of-the art research and development laboratory. Convex is committed to Lean Manufacturing and is a HACCP-certified, quality assured approved supplier of food grade packaging. 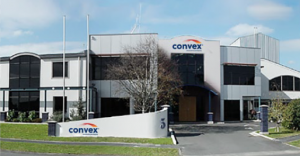 Our head office and main manufacturing plant are based in Hamilton, New Zealand and we have sales and distribution centres in Auckland, Christchurch and Sydney. 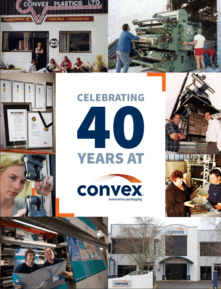 At Convex we make it our business to understand your business, so we can provide you with the packaging you need – as easily and effectively as possible. Our goal is to provide you with the peace of mind that your packaging will be well taken care of in a way that best supports your business. We are dedicated to challenging the status quo in packaging, and we’re not afraid to try new things to get the result you want. Whether you are looking to reduce pack costs, increase machine speeds, extend shelf life or minimise your impact on the environment – we will go out of our way to provide the right solution, even if we have to develop something completely new.